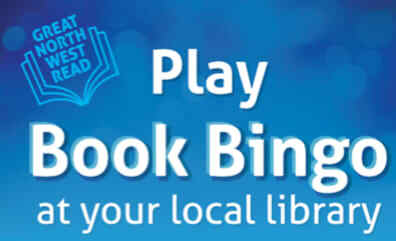 Take part in our ‘Book Bingo’ spectacular from now until 1 July – and you could win a cash prize. Bury is one of 22 North West authorities taking part in the Time to Read initiative, which encourages people to try reading something different. To take part in the Book Bingo and have a chance of winning a £200 prize, you have to read five books from five different categories. Once you have a straight line – diagonal, vertical, horizontal – of five books on your ‘bingo card’, hand it in at a library and be entered into the prize draw. For more details and a bingo card, pop into your local library.